Energy production and storage are central problems for our time. In principle, abundant energy is available from the sun to run the earth in a sustainable way. Solar energy can be directly harnessed by agricultural and photovoltaic means, but the sheer scale of the energy demand poses severe challenges, for example any major competition between biomass production and food production would simply transfer scarcity from energy to food. Indirect use of solar energy in the form of wind looks also promising, especially for those regions not blessed with abundant sunlight. Other modes such as tidal and wave energy may well become important niche players. 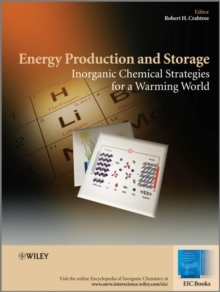 Inorganic chemistry plays a decisive role in the development of new energy technologies and this Volume covers some promising modes of alternative energy production and storage that minimize the atmospheric burden of fossil-derived carbon monoxide. No one production or storage mode is likely to dominate, at least at first, and numerous possibilities need to be explored to compare their technical feasibility and economics. This provides the context for a broad exploration of novel ideas that we are likely to see in future years as the field expands. 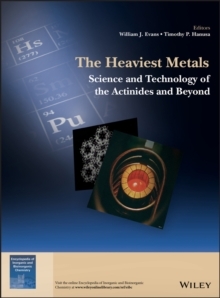 This Volume covers a wide range of topics, such as: - Water splitting, only water is a sufficiently cheap and abundant electron source for global exploitation; - Energy conversion by photosynthesis; - Molecular catalysts for water splitting; - Thermochemical water splitting; - Photocatalytic hydrogen production; - Artificial photosynthesis, progress of the Swedish Consortium; - Hydrogen economy; - Reduction of carbon dioxide to useful fuels; - Conversion of methane to methanol; - Dye sensitized solar cells; - Photoinitiated electron transfer in fuel cells; - Proton exchange membranes for fuel cells; - Intermediate temperature solid oxide fuel cells; - Direct Ethanol fuel cells; - Molecular catalysis for fuel cells; - Enzymes and microbes in fuel cells; - Li-Ion batteries; - Magic Angle Spinning NMR studies of battery materials; Supercapacitors and electrode materials. 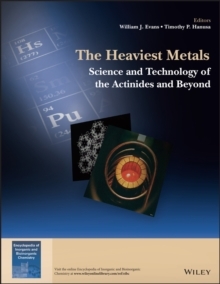 About EIC Books The Encyclopedia of Inorganic Chemistry (EIC) has proved to be one of the defining standards in inorganic chemistry, and most chemistry libraries around the world have access either to the first or second print edition, or to the online version. Many readers, however, prefer to have more concise thematic volumes, targeted to their specific area of interest. This feedback from EIC readers has encouraged the Editors to plan a series of EIC Books, focusing on topics of current interest. They will appear on a regular basis, and will feature leading scholars in their fields. Like the Encyclopedia, EIC Books aim to provide both the starting research student and the confirmed research worker with a critical distillation of the leading concepts in inorganic and bioinorganic chemistry, and provide a structured entry into the fields covered. 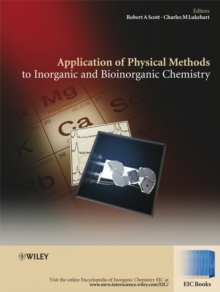 This volume is also available as part of Encyclopedia of Inorganic Chemistry, 5 Volume Set. This set combines all volumes published as EIC Books from 2007 to 2010, representing areas of key developments in the field of inorganic chemistry published in the Encyclopedia of Inorganic Chemistry.